Do you ever wonder how some people achieve celebrity status? In the sense that you wonder how anybody sees any redeeming qualities in a person that appears to be a useless untalented obnoxious elitist? 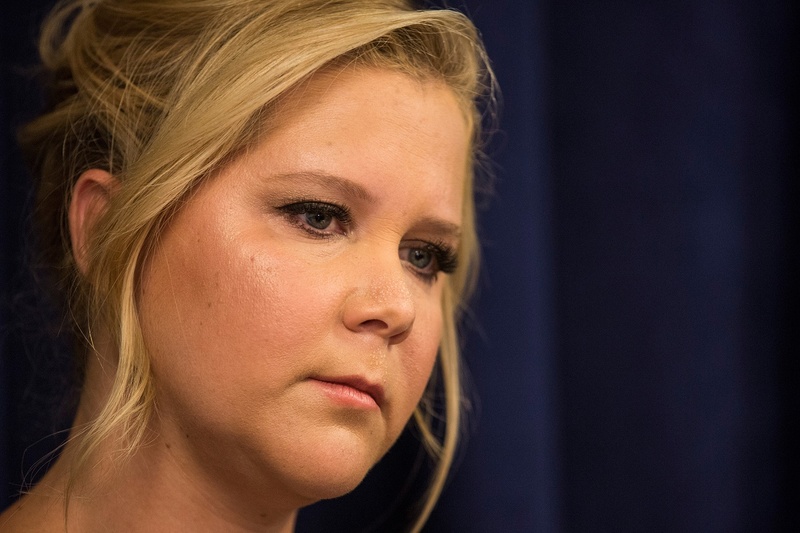 Even though you avoid her content like the black plague, you’ve still probably heard of this comedian named Amy Schumer because she consistently makes the news with her annoying political rants and insufferable jokes about the female genitalia that make you want to gouge your eyes and ears out. But Schumer’s delusions of grandeur just reached all new heights after this self-congratulatory comment. The entire Hollywood industry is loaded with anti-President Trump critics who dominate social media with their condescending pro-Democrat propaganda. Amy Schumer is one of them. A few years ago it seemed like her career was taking off with a hit show on Comedy Central called Inside Amy Schumer and the comedian wrote and starred in a box office hit called Trainwreck. Now it seems like Hollywood chewed her up and spit her out already due to a string of box office duds. But that doesn’t mean she doesn’t hysterically post ridiculous comments or lead marches like she did in Washington, D.C. several months ago in protest of now-Supreme Court Justice Brett Kavanaugh. Back in October, Schumer refused to appear on any commercial that would air during the upcoming 2019 Super Bowl out of spite because of disgraced former quarterback Colin Kaepernick’s “blackballed” from the league. Now, she claims that her protest was a massive success. That’s simply untrue. There are hundreds, if not thousands, ready to jump in and “perform,” despite their personal feelings about Kaepernick. Do you know how much the creatives are paid for Super Bowl spots? It’s like winning the lottery. But Amy Schumer has this holier than thou attitude, which most liberals seem to adore, but everyone should see right through that nonsense. This kind of self-indulgent arrogance is almost too much to believe and it would be difficult to not realize that these comments are the product of being a peak millennial newfound celebrity. Can you imagine someone like Clint Eastwood saying the same thing? That would never happen because liberal elitists like Schumer live on their own entitled plane of existence that Middle America simply doesn’t relate to. This is why Schumer’s career is hitting the fan faster than anybody in Hollywood history. It’s because her ego far supersedes any inkling of talent that she has in her pinky finger. And think about this. If she really did succeed with her proposed “boycott” then why is Kaepernick still jobless?